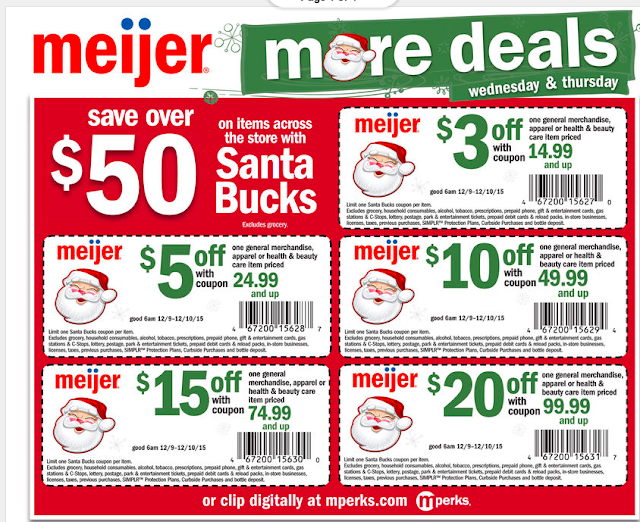 Meijer: Mid week Santa Bucks sale! Another mid week 2 day sale! This Wednesday and Thursday only you can stack the saving's by using Santa Bucks! There is also a 4 page ad, check it out here!